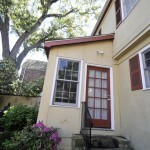 The property at 170 Queen Street presents an opportunity to create a home in one of the most charming areas of historic downtown Charleston. It is only two blocks from calm Colonial Lake, a great place to go on a stroll or relax on one of the many park benches. The cobblestone of the Lower Peninsula that leads to the iconic Battery is also a short walk away, and horse hooves can be heard outside as horse drawn carriages meander through the charming neighborhood. Also within walking distance are shops, restaurants, art galleries, and attractions along Broad Street. The townhome is move-in ready with updated features including a 30-year roof that is only seven years old, a new HVAC in 2008, and new stucco in 2006. A walled courtyard, adorned with greenery and flowers, is accessible through a double-sided wrought iron gate—providing the perfect urban respite that would be ideal for a private outdoor living space. The interior of the home is classic and filled with natural sunlight. 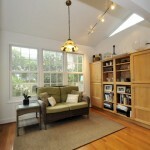 It has hardwood floors with warm golden undertones throughout and an airy, neutral color scheme. The kitchen opens into the dining room, separated by a breakfast bar—the perfect place to enjoy a quick breakfast or snack. 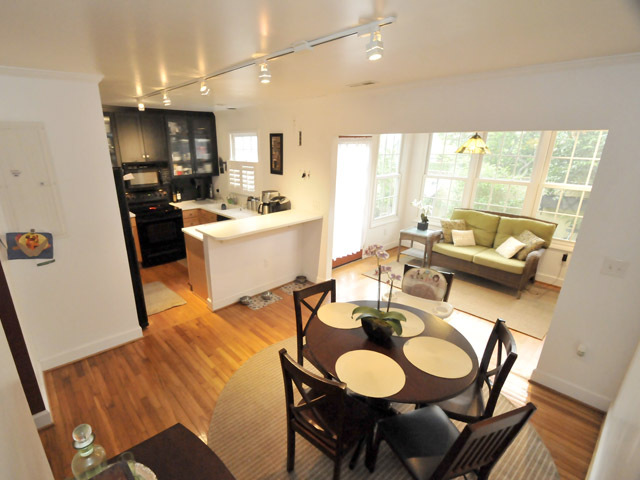 Modern amenities include track lighting and glass door cabinets. The sunroom, connected to the dining area, boasts large windows, a skylight in its vaulted ceiling, an expansive built-in hardwood shelving unit, and more track lighting. 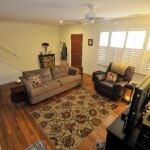 A more formal living area in the front of the home provides another place to relax with friends or family. Two of the home’s bedrooms are on the first floor, along with the full bath. The master bedroom gains privacy on the second floor of the home and has a half bath. It is spacious enough to allow for the addition of a sitting area or office space within the bedroom. 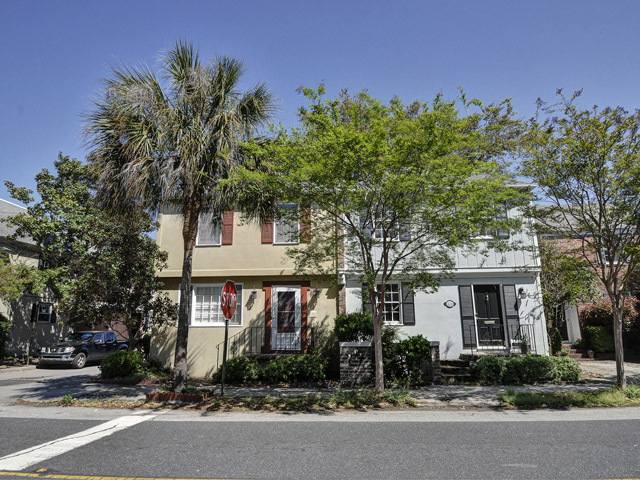 This lovely, light-filled home is a wonderful chance to live in the tranquil Harleston Village neighborhood right in the center of the historic scenery and amenities that characterize downtown Charleston. For more information, contact listing agent Anna Gruenloh.